If you enjoy a good game of Chess, please join our chess group at 12:30 p.m. on Thursdays. Cribbage players are encouraged to come to the center on Monday afternoons at 1:30 p.m.
Euchre is played on Tuesdays at 10:00 a.m. and Thursdays at 6:00 p.m. Please arrive before those times so play can begin on time. Relaxed Euchre is played on Fridays at 10:00 a.m. This session is designed to be more relaxed and less intense than our Tuesday and Thursday games. Played on Fridays at 12:30 p.m. 4 players - two decks, 6 players - three decks. Bidding and trump is named. Duplicate style bridge is played on Wednesdays at 12:15 p.m. You need a partner to play. If you do not have a partner you may call Darlene at 248-887-4954. Pinochle is played on Tuesday afternoons at 12:00 p.m. Depending on the number of players, they may play 4-5 or 6 players. The oriental game of Mah Jongg is played on Tuesday mornings at 9:30 a.m. New players are always welcome. If you want to learn the game there is always someone willing to teach you. Our knitting and crochet group meets around the fireplace on Thursdays at 10:30 a.m. Exchange patterns and ideas. Please join us at 10am on Tuesdays and Fridays in the carpeted room to join this new activity! The Hartland Area Woodcarvers carve on Wednesdays from 8:00 a.m. – 3:00 p.m. The dues for the group are $10.00 per year. Anyone is welcome and there is always someone willing to teach you. Instructor: Donna Roskamp, ELITE OSCI Level II, HDS, Hauser Accredited Instructor Level I, II, Zhostovo Russian Painting, Roses, Clay Specialist, #1 Instructor in the nation three years in a row! Classes are held on Wednesday with varying topics and fees. Check your newsletter for the latest classes. ​MUST pre-register in the office. Water-color, oil and acrylic painting, charcoal and pastels are among the media chosen by the students. This three-hour, 6 week class will meet on Tuesdays at 12:30 p.m. The cost is $66.00. 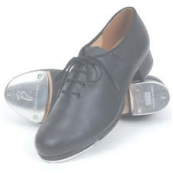 Maria Usher is our Friday tap instructor - the group is the Recycled Rockettes and Rocker! Call for pricing. If you are interested in the beginning class you may join immediately. If you are a man and you can sing, we need you to join our band of troubadours - The Silver Squires. The group meets on Tuesdays & Wednesdays at 10:00 a.m. See you there. We are always looking for new voices to join our women's choir. We meet on Mondays and -Wednesdays at 10:00 a.m. The Second-Wind Ensemble is always looking for new musicians. If you play the clarinet, trumpet, baritone or any band instrument you could join us. Many of us are playing our instruments for the first time since high school! 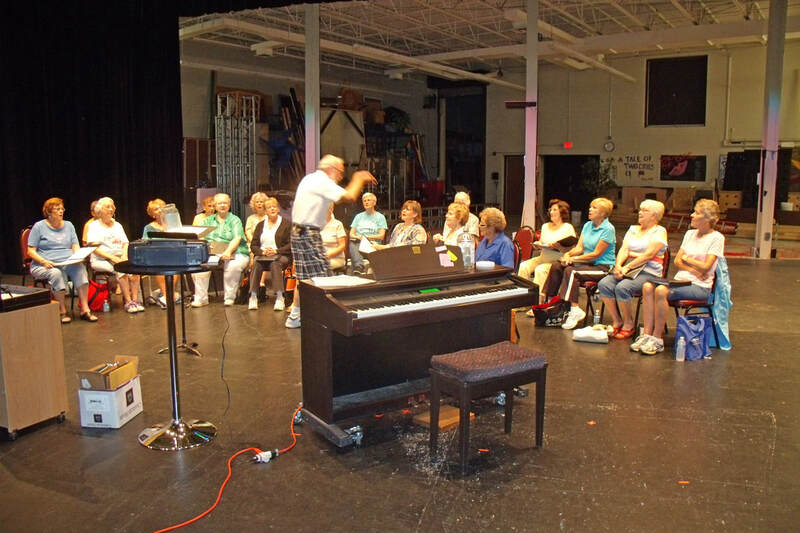 The group meets on Tuesdays and Thursdays at 1:00 p.m. If you are interested please stop in and check us out. The senior center hosts a jam session on Monday evenings at 6:00 p.m. Bring your guitars, mandolins, ukuleles, harmonicas, and fiddles to join us playing music from country western to blue grass to folk. If you want more information please call the senior center at 810-626-2135. Our ukulele group, HUG, Hartland’s Ukulele Group, meets the first and third Tuesdays of the month at 1:30 p.m.
We have a new chimes group that started in early 2014. We took some time off for the Summer but now we are working hard to be ready for the Holiday Concert. Join us on Mondays and Wednesdays at 1pm. New members welcome. Is one of your New Year’s resolutions to lose weight and feel better. TOPS is here to help you achieve that goal. TOPS meets on Thursdays with weigh-in at 10 a.m. and the meeting at 10:30 a.m. Cost is very reasonable at $24 annually and your first visit is free to see if you like the program. If you have any questions, call Carol @ 810-626-2139. Just a quick note to community, our club would love to have you come and stop by to see what we are doing! Every Wednesday, from 8am to about 3pm the carving room is open. Our group, led by President Cliff Lindahl, is getting ready for another shipment of Eagle Cane heads. We have applications available for veterans to apply to the program for Eagle Canes, with their name, rank and branch of service entered on the cane. Our group does not supply the canes, but carves the eagles that are put on cane shafts for the Wounded Warrior program. We will be having beginning carving classes in January on Wednesday for interested folks! We do carving, pyrography, painting and some serious talking over coffee! Stop by and see us!